Louisville, Ky. (AP) – When Muhammad Ali wasn’t jabbing or dancing in the ring, he sometimes liked dabbling as an artist. 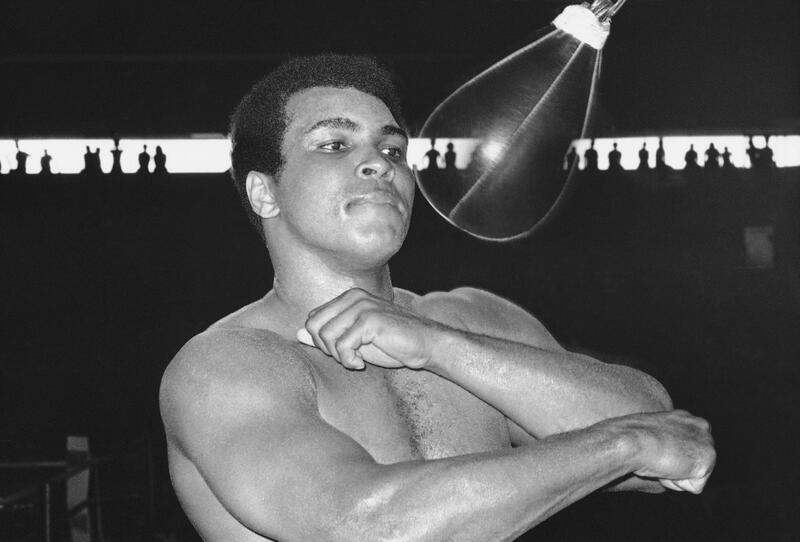 On what would have been Ali’s 75th birthday, the LeRoy Neiman Foundation said last week it was donating 21 Ali-related works of art valued at more than $500,000 to the Ali Center. The three-time heavyweight champion and humanitarian died last June after a long battle with Parkinson’s disease. 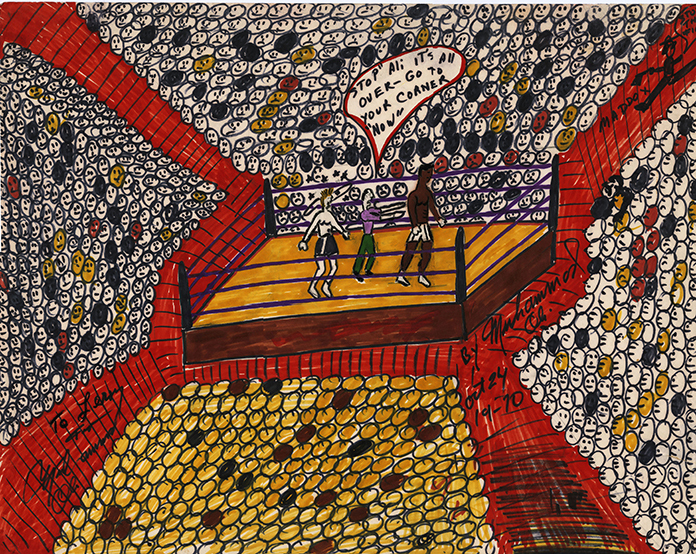 The donated works include two Neiman paintings of the champ, including his famed “Athlete of the Century” piece that has been on loan and displayed at the cultural center and museum since 2005. Neiman, who died in 2012, said the painting summed up “the quintessential, colorful, confident Ali.” Other items in the donated collection include two pieces by Ali’s father, Cassius Clay Sr., and one that Ali and a friend drew. Ali Center President and CEO Donald Lassere called it a “poignant, timely and prized gift” as the celebrated Ali’s birthday and legacy. Neiman Foundation President Steven Bond said the Ali originals will shed light on the boxer’s artistic side.